It’s that long-awaited, eagerly anticipated moment and rather magical date—10-11-12—when my new book Where the Heart Lives is just being released! All the months of writing, editing, re-writing . . . watching the beautiful new book cover manifest its shape and color . . . discussing marketing plans with my fabulous team . . . planning two back-to-back book tour segments . . . and working out the details on the elaborate blog tour . . . it’s all finally ready to launch! Last year, when I first began blogging, of course I had to use my “head” to figure out how to do it. But the true core of my blog emerged when I realized it was all about the “heart.” As my theme became clearer, it was wonderful to ponder and share with you so many aspects of head and heart. You might recall that last year I also did my first blog tour. It was a most extraordinary success, thanks to you, my readers, and to the gracious, dynamic blog hosts who invited me to visit their followers. We’re launching another blog tour this month, and of course I’m very excited that I’ve been invited back to some of my very favorites, and that ll be visiting some new sites. The traditional blog tour is a true virtual tour: the “guest” author either posts an original essay for the host readers, or is interviewed by the host. I just loved every visit on that tour, and was honored to be the chosen guest. But there was more. Each one of my hosts was a fascinating, accomplished person in his/her own right. How could I thank them? By creating a reciprocal blog! So I interviewed each of them, and created something new: The Double Blog Tour. I “blogged back” each host right here on my own blog. What fun! It truly was a win-win. Having branded this special double blog, I decided to do it again. So during this next blog tour, you can look forward to reading about intriguing people in my “blog backs” of the Double Blog Tour, which might be better named the Heart-to-Heart Double Blog Tour. 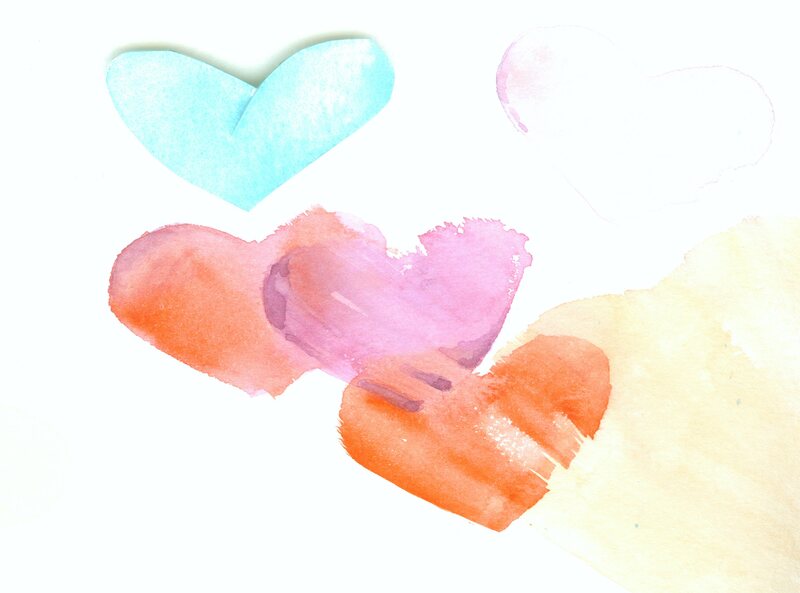 Okay, that accounts for two of the hearts in this beautiful four-heart watercolor by Mary Helsaple, who paints my book cover art. What about the other two hearts? These refer to the fact that this year, instead of doing the virtual tour first and the physical tour second, I’ll actually be doing most of the book-and-blog touring concurrently! Hard to imagine how it will work to be driving down the highway from city to city, signing books, giving talks, and blogging at the same time. But it will be a new adventure! And so . . . we’re off on a great adventure of the heart. Tune in for insights, humor, synchronicities, a few fears and challenges, some new friendships, and a new sense of connection to your own core values and beliefs. Come with me to map the journey of your own heart.